Michael (Mike) Horanski, (M.M. 2009, BSME 1997) choral director and performing arts department chair at Robinson Secondary School, has been named the Virginia Music Educators Association's (VMEA) Outstanding Music Educator for 2017. This award is presented to music educators who have made a significant impact on student achievement, program growth, and influence within and beyond the district in which they teach. Robinson Secondary School is a Fairfax County public school. 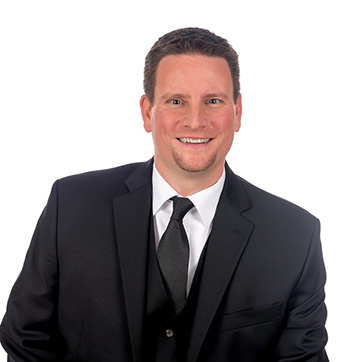 Horanski began his career with Fairfax County Public Schools (FCPS) in 2005, when he took over a struggling choral program at Robinson Secondary. "He worked tirelessly to not only rebuild that program, but also to bring it to an unprecedented level of musical excellence," says Claire Rowan, performing arts chair at Madison High. Rowan adds that Horanski willingly shares information about how to rejuvenate a music program, including how he established a sixth grade honor choir and an elementary pyramid singer choir, instituted a performance with students and their fathers, and won a grant to commission a work by a contemporary classic composer for his choir to premiere.